Chungking Express is nearly twenty-five years old, and it remains as jittery and sparkling as it was in 1994. I saw it on laserdisc in the fall of that year and immediately cottoned to it–more keenly than to its mate, Ashes of Time (which I came to admire eventually). 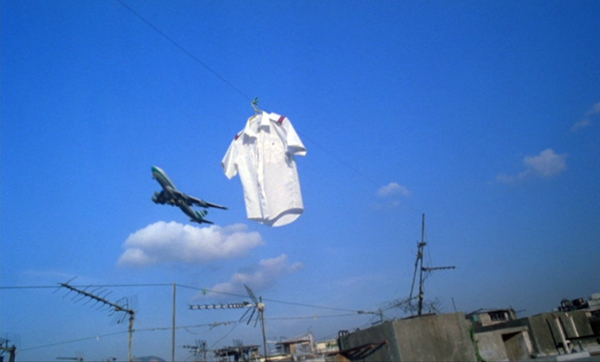 I saw it on the screen in spring of 1995 during my first visit to the Hong Kong International Film Festival. (It’s unspooling, as Variety would say, as we speak, although I’m not there dammit.) That was also when I met Wong Kar-wai for the first and only time. I was asked to present him the Hong Kong Film Critics Society award for Ashes of Time. During the same visit, I was at the Hong Kong Film Awards when Chungking Express won for best picture, best director, best actor (Tony Leung Chiu-wai), and best editing (William Chang Che-wi). The trip was a turning point in my life. Thanks to that visit and later ones, I met Li Cheuk-to, Ho Wai-ling, Jacob Wong, Stephen Teo, Athena Tsui, Law Kar, Bede Chang, Shu Kei, Michael Campi, Ross Chen, Yvonne Teh (of Webs of Significance), Chuck Stephens, Stefan Hammond, Grace Ng, Shelley Kraicer, Lau Sing-hon, Joanna Lee, Ken Smith, Lisa from Toronto, Ding Yuin Shan, To Kei-chi, Yau Nai-hoi, Johnnie To, Sam Ho, Fu Poshek, Peter Chan, Ann Hui, Dora Mak (from UW), Bérénice Reynaud, Wong Ain-ling, Frederic Ambroisine, King Wei-chu, Chris Berry, Bob Davis, and many more people who became good friends. In later visits I got back in touch with old friends turned expats–Patricia Erens, Mike and Melissa Curtin, Darrell Davis, Yueh Yu-yeh, Nat Olson (from UW, of Hong Kong Hustle), Mette Hjort, Paisley Livingston–and longer-term comrades like Tony Rayns, Mike Walsh, Gary Bettinson, and Peter Rist. The Fragrant Harbour, a crossroads of Chinese culture, became a central node in the only social network that matters to me: the non-virtual one. Not Facebook but Face-to-Face. I think of Hong Kong often; I regret not being able to attend the festival in recent years; and I’m saddened when I reflect that Ain-ling and Wai-ling are no longer with us. Twenty-four years went by too fast. 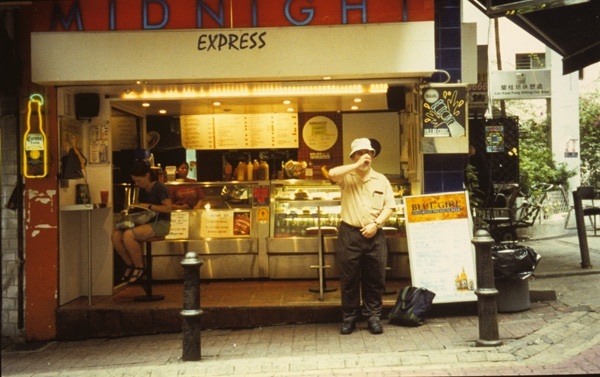 Chungking Express was made during a gap in the filming of Ashes and proved that for once Wong could turn out a quickie. Andrew Lau started as cinematographer for the first story, but when he left to make his own film, Chris Doyle picked it up. Both made good use of that loose “free camera” style that now seems to be everywhere. I usually find it annoying, but here the ambiance and the players and the sheer look of the city win me over. There’s also some peekaboo slit-staging. The movie benefits from an ingratiating and eclectic score, drowsy voice-overs, and people who like to eat and talk about romance. Chungking Express typifies everything that I love about Hong Kong and its people and its cinema. When I see that jet and that clothesline, I remember looking out the window of such a plane and wondering about the people I saw on the rooftops, scarily close. Staying at the Salisbury YMCA, I was a short walk from the Bottoms Up bar and Chungking Mansions. And when I finally stopped by the Midnight Express and realized that the California Café was just across the street, I realized how tricky Wong had been with cinematic geography. (I didn’t get to the Midlevels escalator until later.) 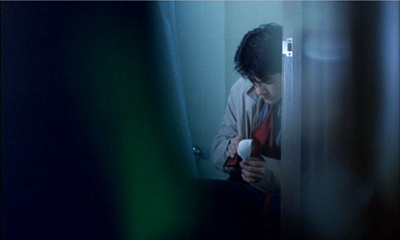 Chungking Express captures the careenng energy of this city, while warming it with a preposterous lyricism. Faye treats her salad squirters like marimbas, and those guys have to be the least tough cops in the territory. I wound up talking about the film a lot. I taught it in courses and lectured on it elsewhere. 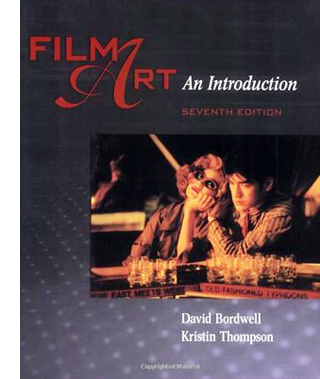 It got a chapter in Planet Hong Kong and an analysis in Film Art: An Introduction. Now it’s the subject of an installment on our Criterion Channel series on FilmStruck. There I try to show how its narrative construction welds together bits that might otherwise seem disconnected. Seeing it a couple more times to prepare that commentary, I found still more to admire. In the Mood for Love is totally fine, and I’m a big fan of As Tears Go By and The Grandmaster, but Chungking Express is the one I’ll watch any time, any place, anywhere. I like pineapple. I like bittersweet chocolate too. Later this semester I get to meet a class to talk with them about this charming movie. For 75 minutes, I’ll once more be in touch with a city, only partly imaginary, that for all its harsh edges is filled with flirtations, dead-end love affairs, good humor, and expired canned goods. I hope you like it too. If you haven’t seen it, what are you waiting for? You can play a clip from the installment on the Criterion website. With the original DVD release now out of print and pricey, FilmStruck is your best chance to see it on video. Thanks as ever to Peter Becker, Kim Hendrickson, and Grant Delin of Criterion for the fun of making this installment. Our entire Criterion series is here. For more on Hong Kong film, check this tag. P.S. 28 March 2018: Midnight Express had a makeover after the film made it famous, as you see below, but it’s now a 7-11. Nate Olson’s Hong Kong Hustle site shows the result. Thanks to Miklos Kiss and Dan Balogh for updating us. This entry was posted on Tuesday | March 27, 2018 at 10:56 am	and is filed under Criterion Channel, Directors: Wong Kar-wai, National cinemas: Hong Kong, People we like. Both comments and pings are currently closed.